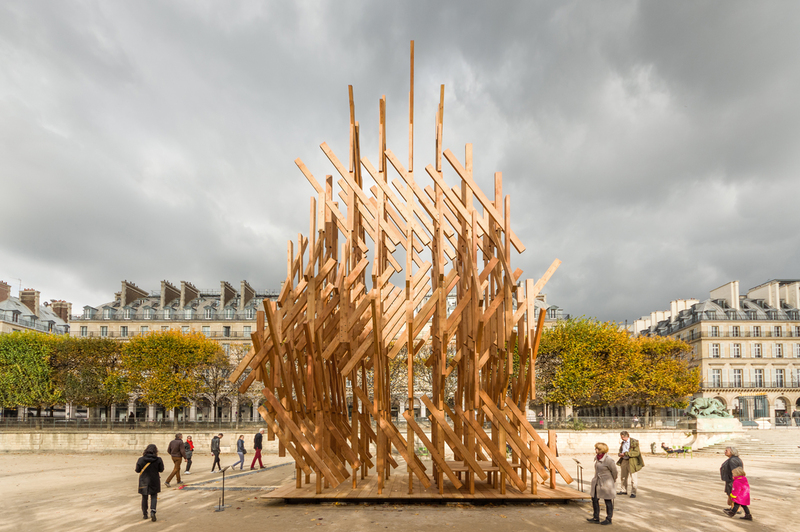 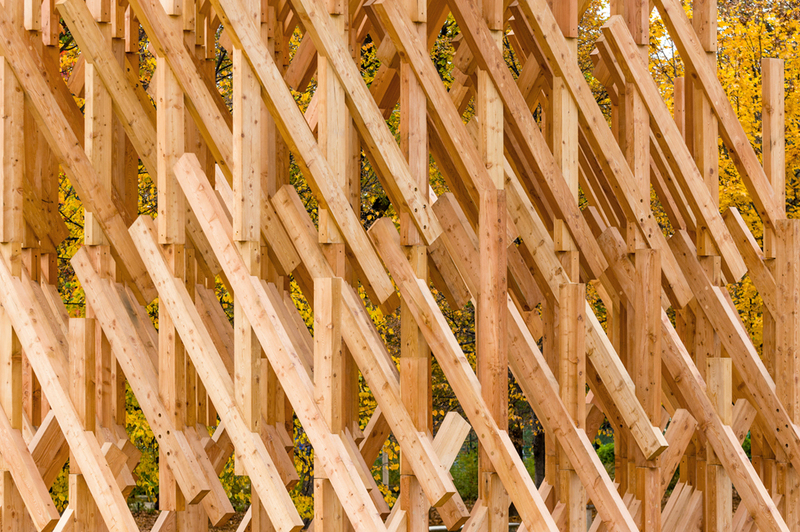 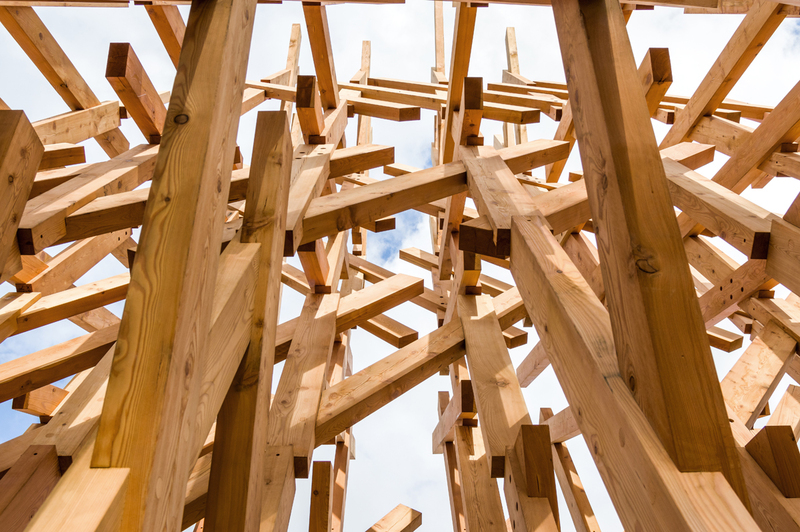 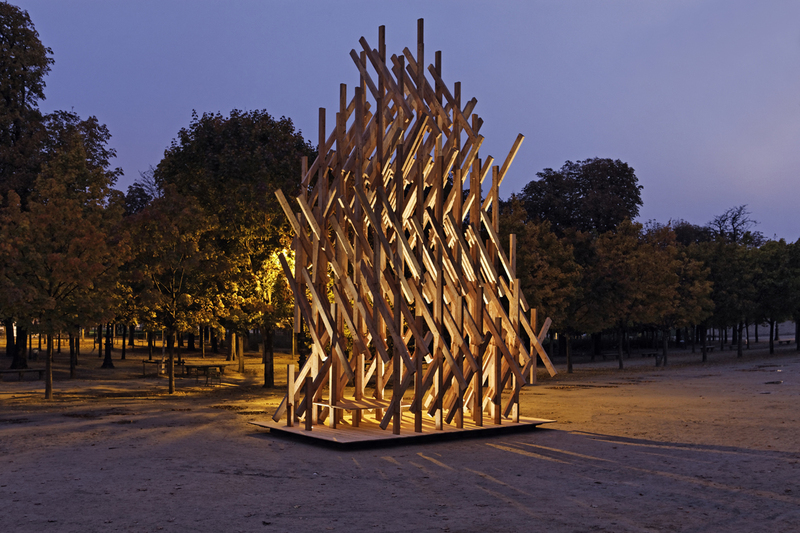 Yure is a wood pavilion set up temporarily at Jardin de Tuileries in Paris. 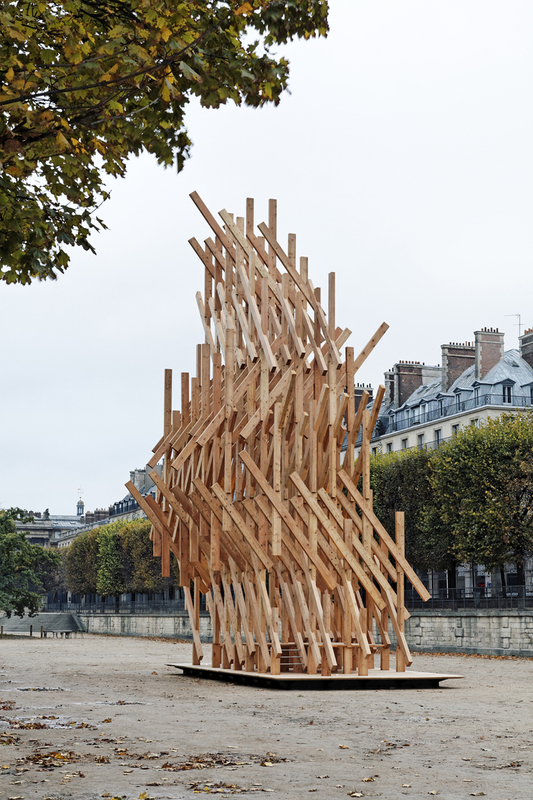 Randomly combined thin sticks (sectioned 9cm×18 cm) grow into a soft monument that looks like a tree or a cloud with an ambiguous frame. 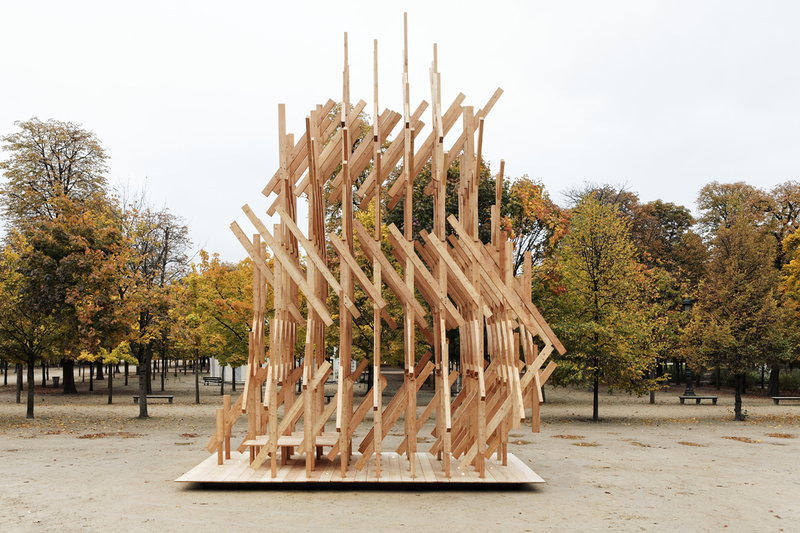 Paris is a city made of stone, solid and heavy, whereas this pavilion is like a living creature. 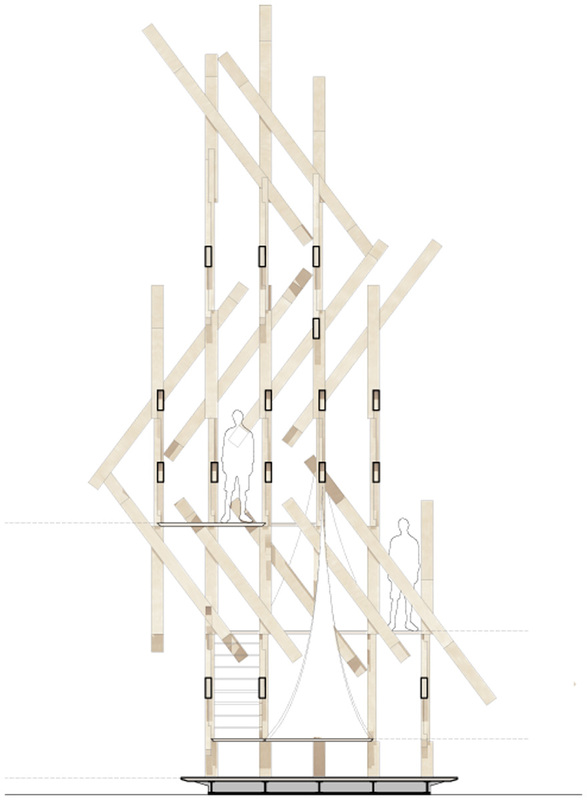 Here, it is possible to hang down a “house” made of cloth, in which people can actually live.